The view is familiar: a large Kaaba-like structure towering above a complex arrangement of walls and columns; a circular structure emerging from a carpet of iron rebar and steel plates; large and low buildings on each side; the hills and forest in the background. Yet, as days pass, everything changes: in large details and in small, the ITER worksite is in constant transformation. 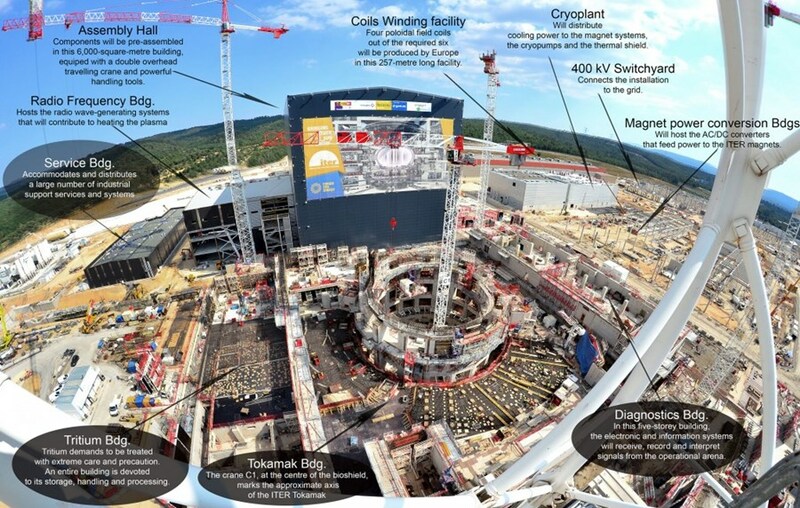 This picture, with its embedded captions, will help you map your way through the progress of ITER construction.